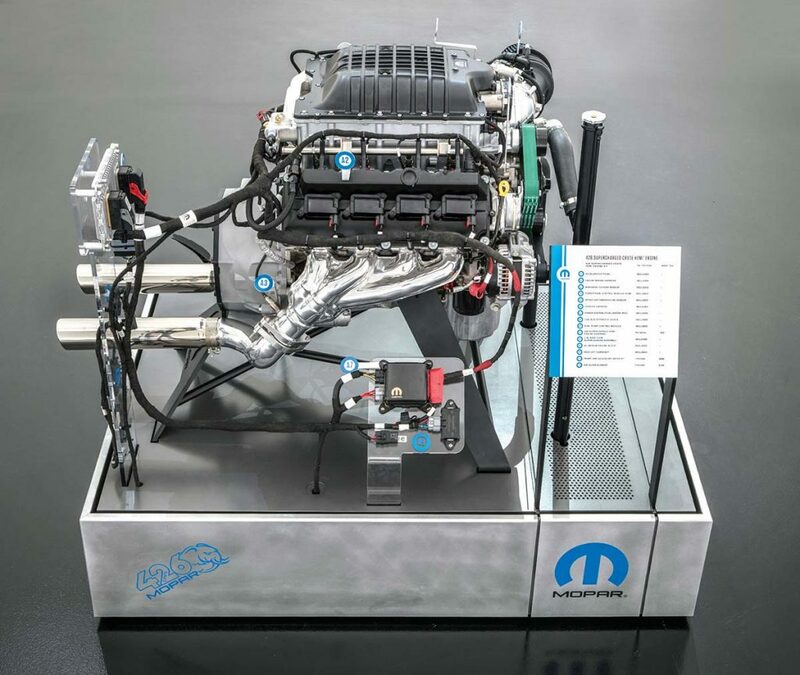 Fiat Chrysler Automobiles (FCA) launched its latest crate engine at the recent Specialty Equipment Market Association (SEMA) Show in Las Vegas, Nev. According to FCA, the supercharged 426-cubic-inch “Hemi” V-8 makes 1,000 horsepower and 950 pound-feet of torque. It’s dubbed the Hellephant (a blending of the elephant nickname for the 1960s’ Hemi engines, and the engines in the current Dodge Charger and Challenger Hellcat models) and can be bought from just about any Dodge/Chrysler/Jeep dealer. Although pricing details are unknown, the 707-horsepower Hellcat crate engine sells for about $20,000. The Sleuth estimates about $26,000 for the Hellephant, which can be retrofitted into older Dodge, Plymouth and Chrysler vehicles.